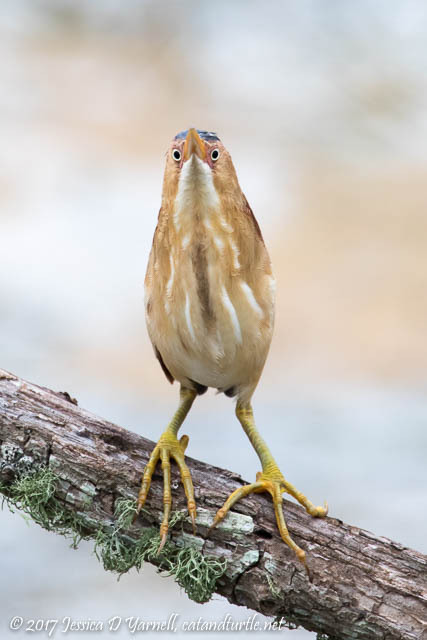 It was a rainy Friday morning, and apparently rain brings out a common but rare-to-see-out-in-the-open bird: the Least Bittern. They were literally all over the place! Each of the following photos was a different bird. It was just crazy. We must have come across at least ten of them, out in the open and easy to photograph. Here are my favorites. 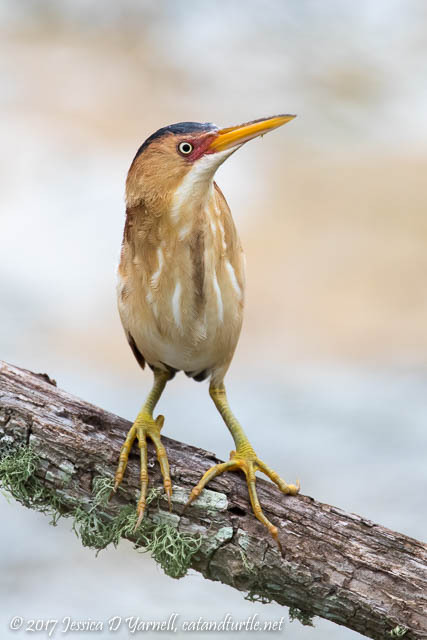 Least Bittern #1 – I almost could have reached out and touched this guy, he was so close to the car! 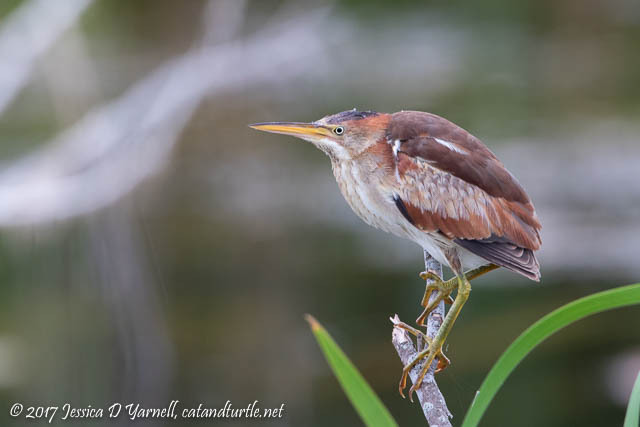 Least Bittern #2 – I think this one is a juvenile bird. 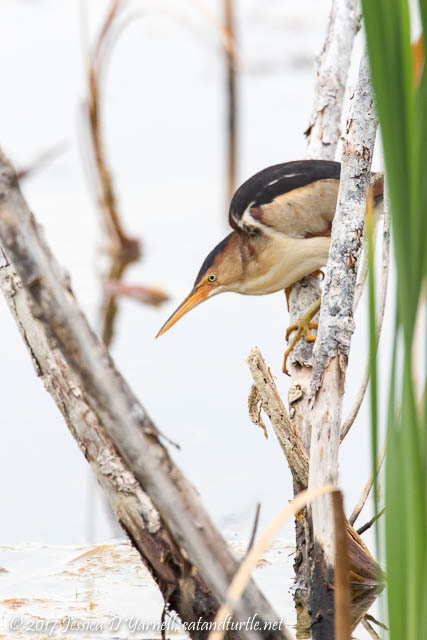 Least Bittern #4 – Out on a Log. He sat there forever and allowed us to take as many photos as we wanted! He still has pretty good breeding colors. It wasn’t just a bittern morning, though. 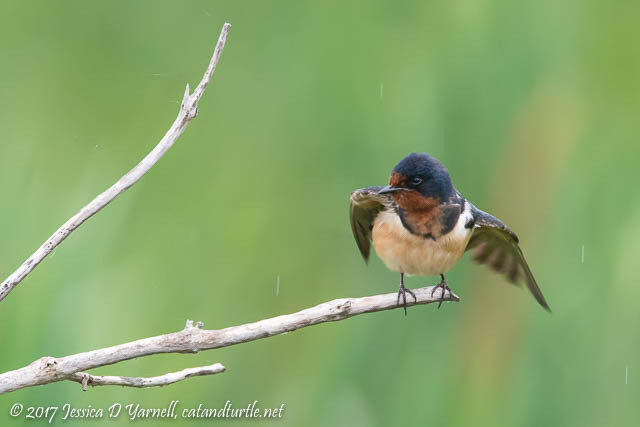 The Barn Swallows also enjoyed the rain. The babies must be learning how to feed themselves, because we didn’t come across a branch lined with hungry gaping mouths. Instead we found this bird, taking a bath in the falling raindrops. 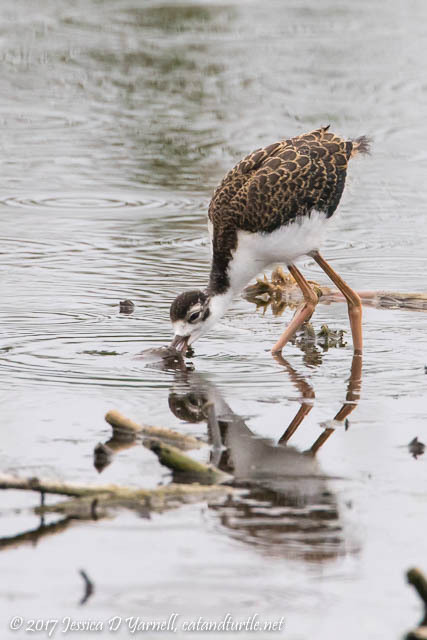 The baby Black-necked Stilts are growing up, too. They are getting taller and starting to look more like the adults. Mom and Dad were still extremely protective, fussing at any birds that came anywhere near those babies. They are fairly far out but I could photograph them through gaps in the bushes. This next shot was rather a sad one. We found another Red-winged Blackbird nest, and we watched it for a few minutes hoping that maybe a cute baby would stick his beak out. Unfortunately, what we saw was quite the opposite. 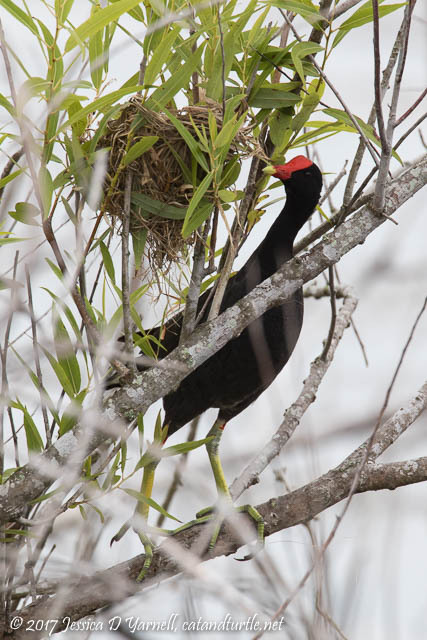 A Common Gallinule wandered up to the bush, climbed the branches, stuck his head into the nest, and emerged with an egg in his mouth. I guess the gallinules need to eat, too, but it still made me sad. I’ve never seen this behavior before. Note to self: return to Lake Apopka in the rain! 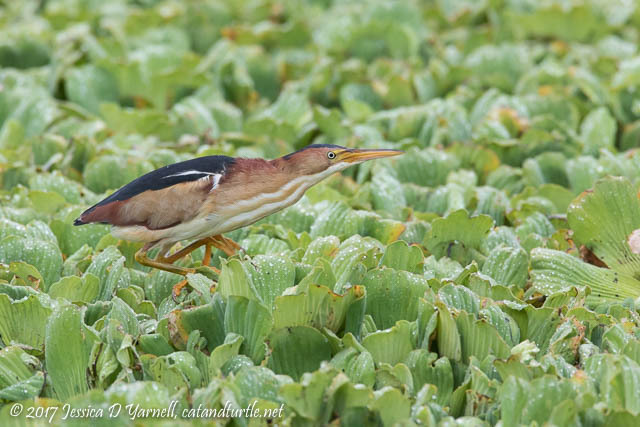 You’ll see lots of bitterns, and with no strong sunlight, you can shoot in all directions. The drive is absolutely fabulous right now. As one lady remarked to me the other day, “this place is always the same, but it’s always different too, and that’s what makes it so neat.” Yep! 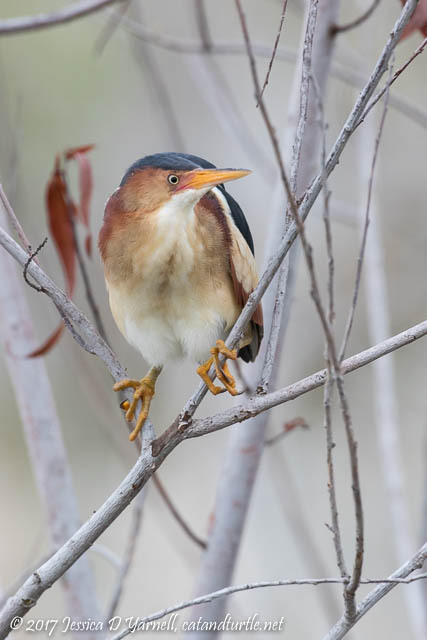 One More Least Bittern! Such a Stare! He was certainly staring at me! Great images Jess. I didn’t know gallinules would raid nests. Great capture of that behavior.